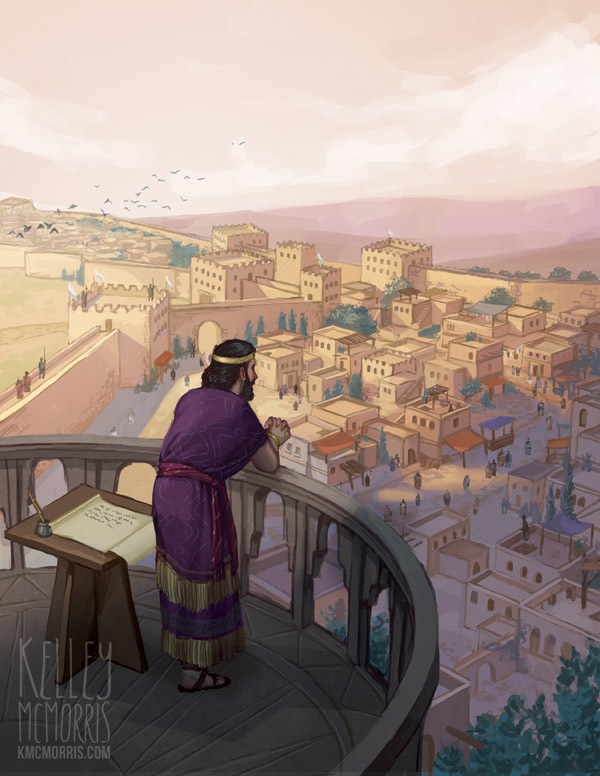 Here is another illustration I did for Lifeway's Explore the Bible series. 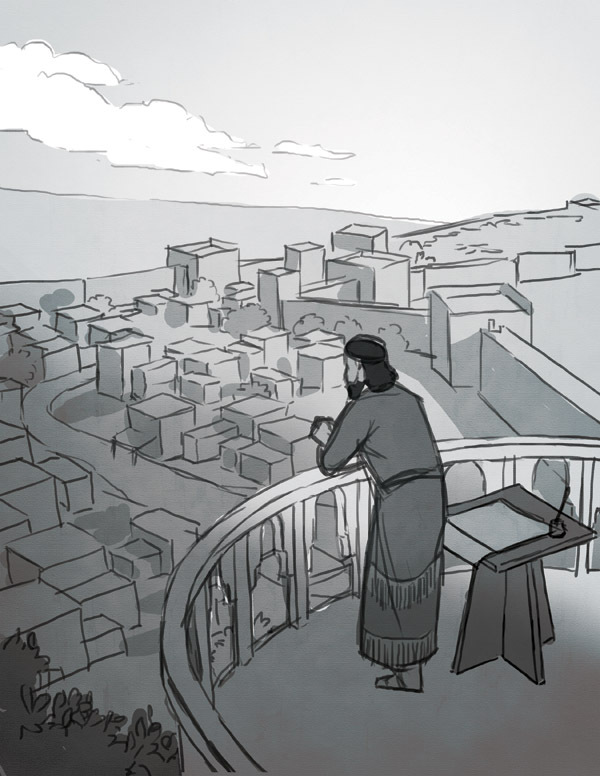 In this scene, they asked me to draw King David taking a break from writing a psalm while he overlooks Jerusalem. I like this scene because it's pink and purple. Sorry I don't have more to say about this. I'm not feeling very witty this morning.